A selection of events held at Southwell Minster captured by Alfred's photographic skills. This and the following photograph were taken on the same day. Several members of the crowd can be identified in both photos. 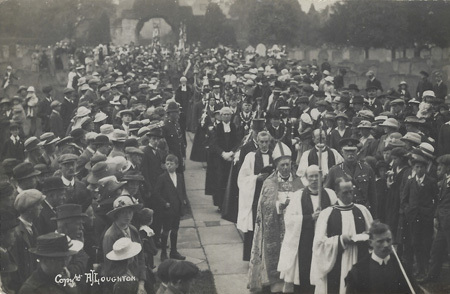 This photo features Sir Edwyn Hoskyns, the second Bishop of Southwell (1904 - 1925). I have not yet managed to date the occasion, but it was before the mass removal of the gravestones. 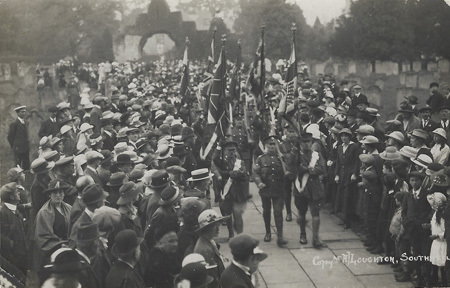 A military aspect to the procession and shows, what I think isajh the campaign flag of the 2nd Battalion Sherwood Foresters, it can also be seen in the distance in the photo above. Both photographs are printed on unposted postcards using "Cartolina Postale" stock and I am not sure why Alfred would be using Italian material. The Church of England Men's Society was founded in 1899 by Archbishop Frederick Temple to bring men together to socialize in a Christian environment. 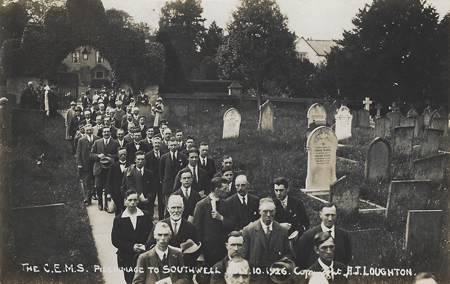 This photograph shows members of the society walking down to the Minster. 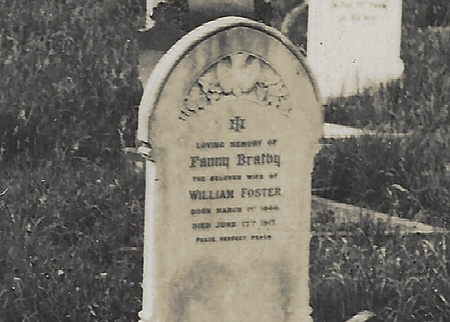 For those interested in the instription on the grave stone a close up is shown here.